This summer, on the 50th anniversary of Woodstock, explore its impact and continuing influence on culture, society & politics. Join NCSS and C3 Teachers, for hands-on opportunities to develop inquiry materials for use in your classroom, and the tools and connections you need need to deliver your own IDM workshop in your school. 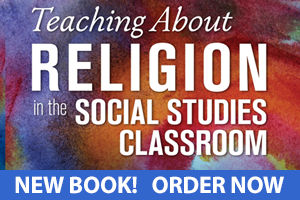 Join NCSS and the Religious Freedom Center of the Freedom Forum Institute to learn about integrating the study of religion into existing curricula or developing new standalone religious studies courses. Join us to discuss the role social studies can play in safeguarding democracy, bridging partisan divides, encouraging critical inquiry, promoting civil discourse, and inspiring civic action. 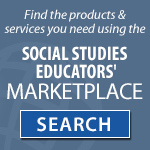 This edition of Social Education provides rich resources for inquiry based instruction that focuses on major political, economic, and historic issues. See the latest issues of our award winning journals.